Tired of vendor events pushing their own agenda? 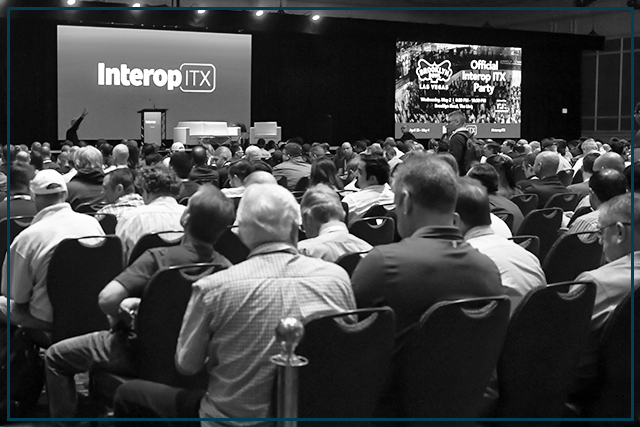 Come to Interop, the ONLY IT Conference where you’ll get a complete objective view of what's happening across all IT disciplines – not a weeklong commercial. 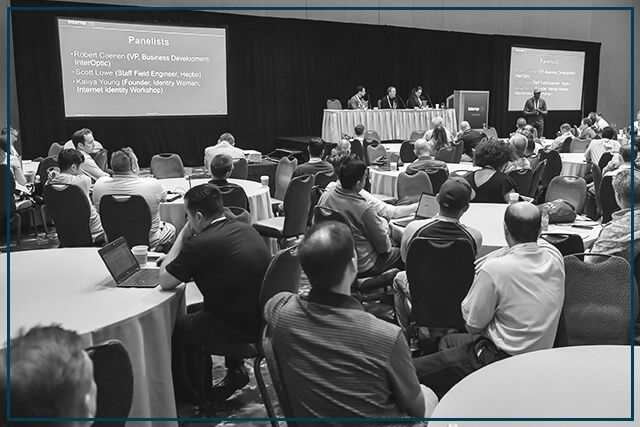 Built from scratch each year with the help of an independent review board, Interop is where you can come to discover NEW strategies, products and services, and hear from peers experiencing the same challenges and issues you are. The lessons learned at Interop are REAL and can be applied immediately. 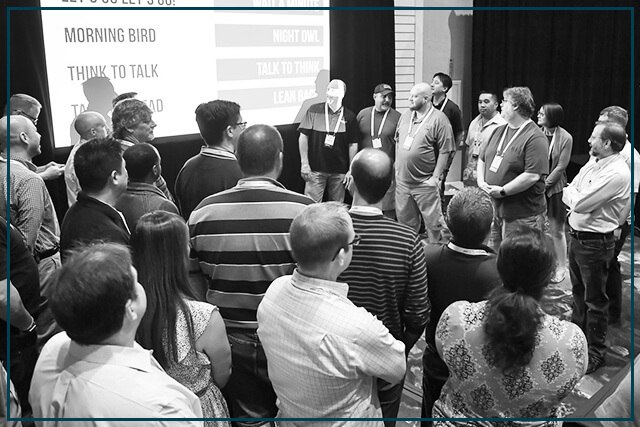 For more than 30 years, Interop has provided an independent space where IT pros can meet and learn from each other about what’s really going on in the industry. We aim to nurture every aspect of your career by offering content across all key technologies, plus areas that help you develop the skills necessary for managing a successful IT organization. 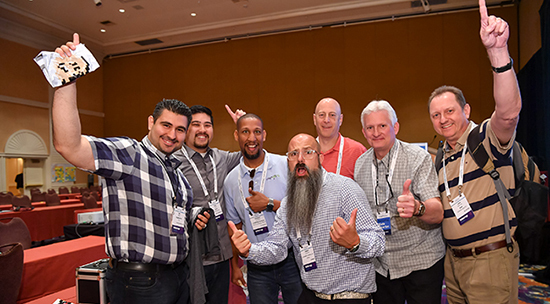 Interop is more than a conference; at its heart, it is a like-minded community of IT practitioners and advocates who are passionate about helping their peers and fostering the next generation of technologists. Our independent track chairs select speakers who wrestle with the same challenges you do and are ready to share what they’ve learned from their own hands-on experience. We’ve recently added speakers from Google, MLB, Visa, Cisco, Indeed.com, Juniper Networks, Delta Dental, and Ford Motor Company. Discover how to transform your network operations through automation and innovations like NetDevOps, zero-touch provisioning and data modeling languages like YANG. Get up to speed on today's security challenges and the attack landscape. Learn what it takes to protect critical data and how to respond when you’re hacked. 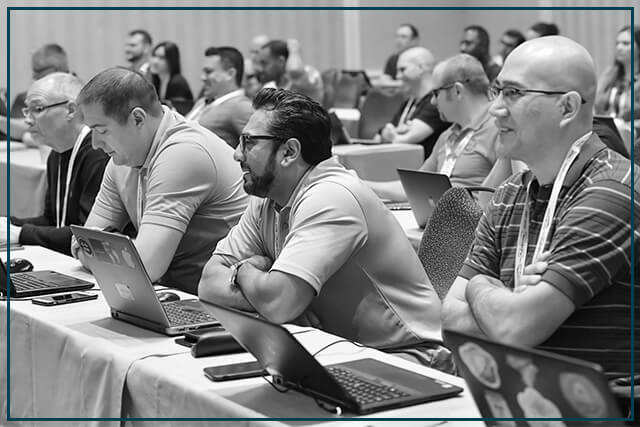 Take advantage of this two-day program, presented by the DevOps Institute, which allows attendees to earn a DevOps Foundation Certification at no additional cost. 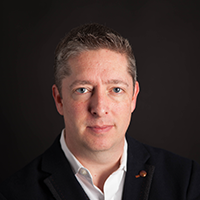 From AI for Wi-Fi, LoRA radios, multi-gig point-to-point, IoT, SDR and sensors, hear how to leverage wireless technology to solve problems, save money, and build reliable networks that are easily managed. 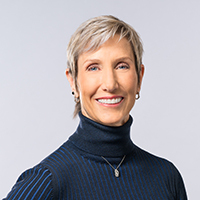 Take your career to the next level by learning how to sharpen your “soft” skills, including communications, negotiation expertise, and obtaining buy-in for business transformation. 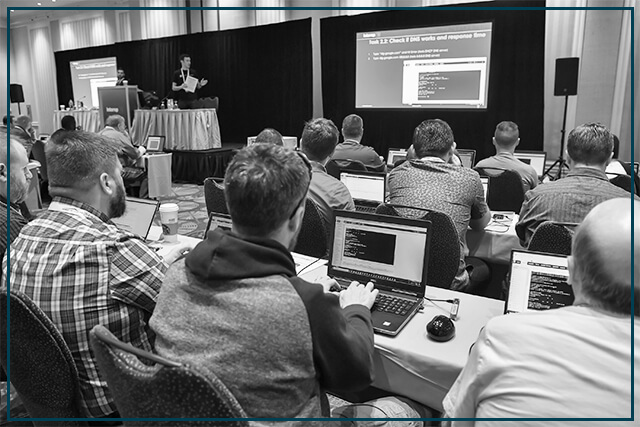 This morning workshop will focus on practical network and system hardening tips to make attackers work much harder as they try to move laterally, escalate privileges, and exfiltrate data. 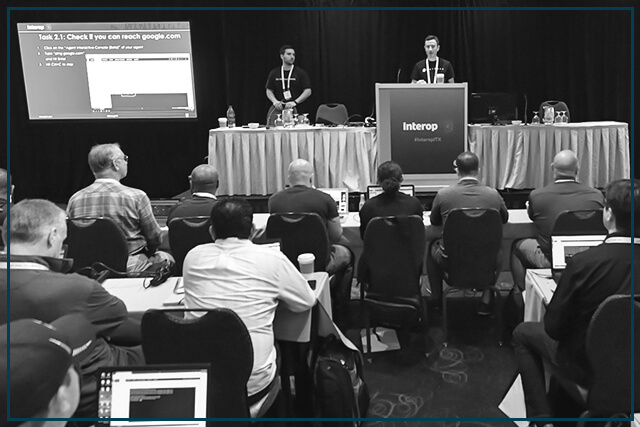 Interop offers a unique set of programming to help you address IT's most important challenges, including in-depth training on Security, Networking, Cloud Computing, DevOps, Wireless and Collaboration. Boost your IT strategy and management skills and gain critical insights into hiring and managing an increasingly diverse workforce with our Professional Development and IT Strategy tracks. Network Orchestration… Beyond “conf t"
This demo, led by members of Interop’s volunteer engineering team, will provide practical demonstrations, cookbooks and recipes for some of the issues surrounding Network Orchestration and will utilize concepts being discussed in the Conference tracks in the areas of DevOps and Infrastructure. 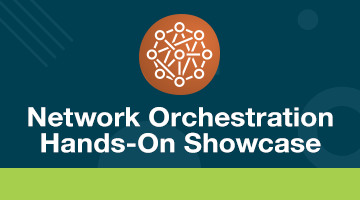 Be sure to check out Interop’s Network Orchestration Hands-on Showcase during the TechFair and scheduled networking times. In this half-day workshop presented by IEEE Computer Society and Technical Committee on Sematic Computing (TCSEM), you’ll gain a comprehensive understanding of AI, including deep levels of machine learning, block-chain and big data analytics, and the latest advances in enterprise and industrial systems. Hear from peers experiencing the same challenges you are, making your takeaways practical and actionable. Which SD-WAN Is Right For You? 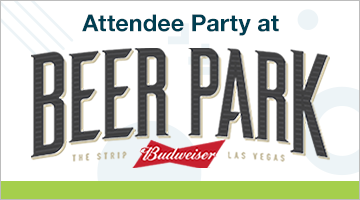 Get your drink on with fellow attendees at the BEER PARK which is located on a 10,000-square-foot deck overlooking the world-famous Las Vegas Strip. The open-air park has an atmosphere combining the feel of a classic baseball stadium and the communal charm of a city park with the spirit of Budweiser. Admission to the attendee party requires an All Access, Summits & Workshops, or Conference pass. 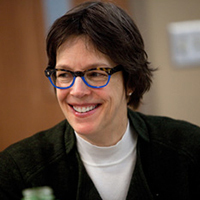 Be inspired by industry thought leaders. 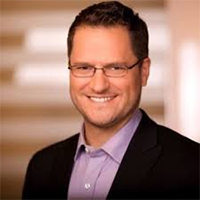 Hear from speakers from Google, RSA, Whole Foods/Amazon, and more! View photos from last year's event, including pictures of our attendee party, 5K run, morning yoga, sessions, and more! 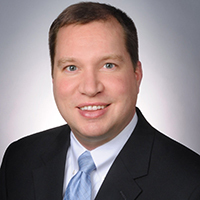 Reflections: expert advice, predictions, trends, and more from InformationWeek editors.